Christmas is the perfect time to treat a lady in your life to a beautiful perfume. Whether you’re buying for your mother, daughter, sister or partner, scents don’t come much more beautiful than the Elie Saab Le Parfum Rose Couture fragrance. 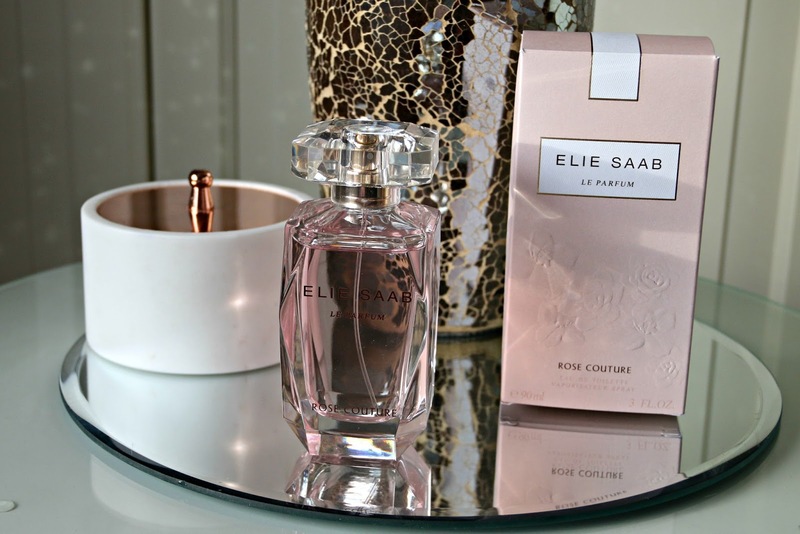 Rose Couture is a new release from the Elie Saab Le Parfum fragrance line, having launched earlier this year. This makes it a great gifting option as if you know someone who likes the original or one of the other Elie Saab scents, then the chances are, they’ll like this one too. Plus, there’s a good chance that they’ll not already have it! The Rose Couture scent is very much a sweet, floral evolution of the original Elie Saab perfume as it has similar heart notes. Orange Blossom was part of the original fragrance as it is with this one, but they’ve added rose as the signature floral note which really transforms the scent. The rose is very apparent, especially when first sprayed and it is complimented by the other top note, Peony, which is one of my favourite floral fragrance notes. The heart notes of this scent, alongside the Orange Blossom, are Jasmine and Rose Nectar. They’re complimented by a base of Patchouli, Sandalwood, Vetiver and Vanilla which gives the scent some warmth. I don’t usually like fragrances that have Orange Blossom in them as they tend to seem a little sharp but this one isn’t at all and I feel as though the other fragrance notes take over from it and the Orange Blossom is played down. It is an all round, beautiful fragrance that I think many women will enjoy wearing. For me, this is very much a daytime scent as once the scent has dried down, it is very light. For an evening fragrance, I like something deep that you can smell before you see me whereas this perfume is lighter and has a sweeter, feminine air about it. If I wear this fragrance at night, it tends to be for short date nights when I want something that will make me smell and feel girlie, feminine and pretty. This isn’t a long lasting scent on my skin, perhaps thats due to it being an eau de toilette, so if I apply it first thing in the morning then I’ll need to top up with some decanted into a Travalo by lunchtime. I always opt for larger bottles of perfume and then use an atomiser for when I’m out and about. 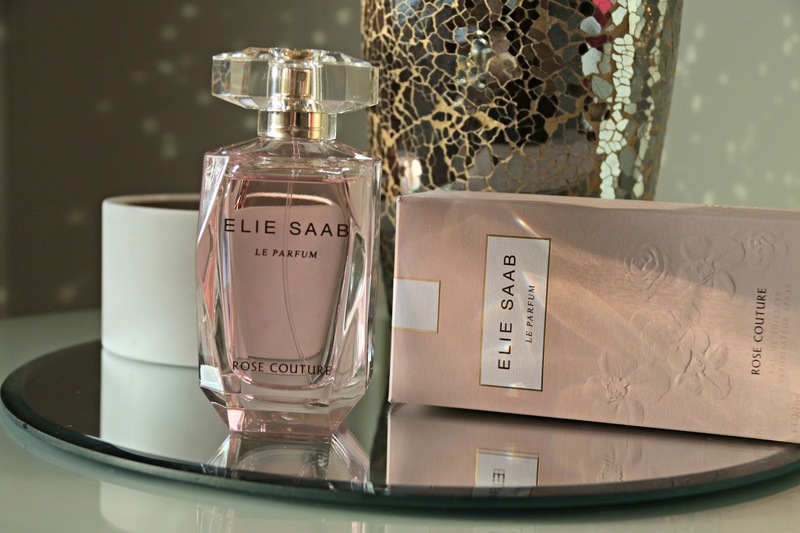 The Elie Saab Le Parfum Rose Couture looks absolutely stunning on my dressing table. 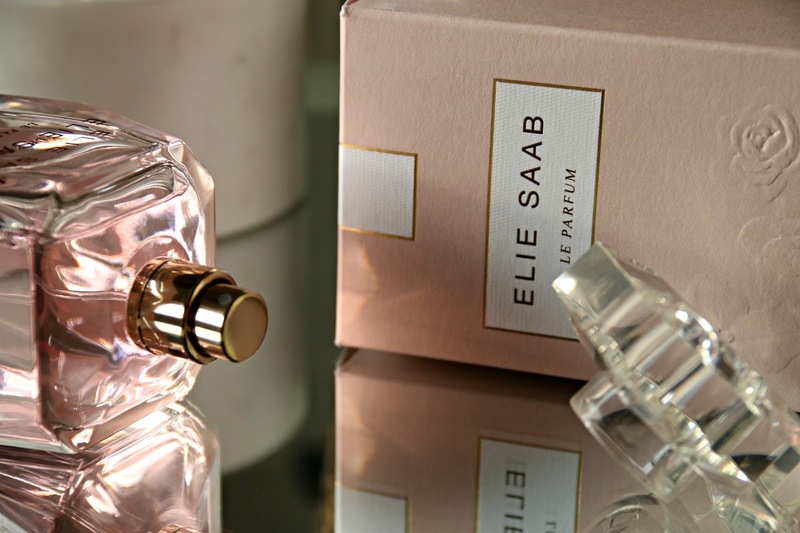 Everything about this scent is feminine and girly from the fragrance itself right down to the packaging and I very much feel as though it has all been given a slightly more youthful air compared to the original Elie Saab perfume. The outer packaging is a beautiful light rose pink with floral embossing but the bottle is really where the heart eyed emojis are at. It is shaped like a jewel with a light tint of pink to the glass. It reflects light beautifully and really makes this a stunning fragrance to keep out on display as well as to wear. Surely I can’t be the only one who thinks that perfume bottles can make beautiful home decorations too? The Elie Saab Le Parfum Rose Couture is available in three different sizes; 30ml, 50ml and 90ml. If you’re buying as a gift this Christmas then I’d highly recommend picking up this scent as part of the Elie Saab gift set from House of Fraser. That way, the receiver will be able to layer up the scent with the body lotion to make it last longer and it’ll feel like a more indulgent gift. Whenever I buy a fragrance, I always look out for the gift set versions because generally you end up paying the same price for the gift set as you would for the fragrance alone so you’re saving money while treating your loved one to even more! Plus if you shop at House of Fraser like I do, then you can save up your Recognition Card points to get money off future treats for yourself! 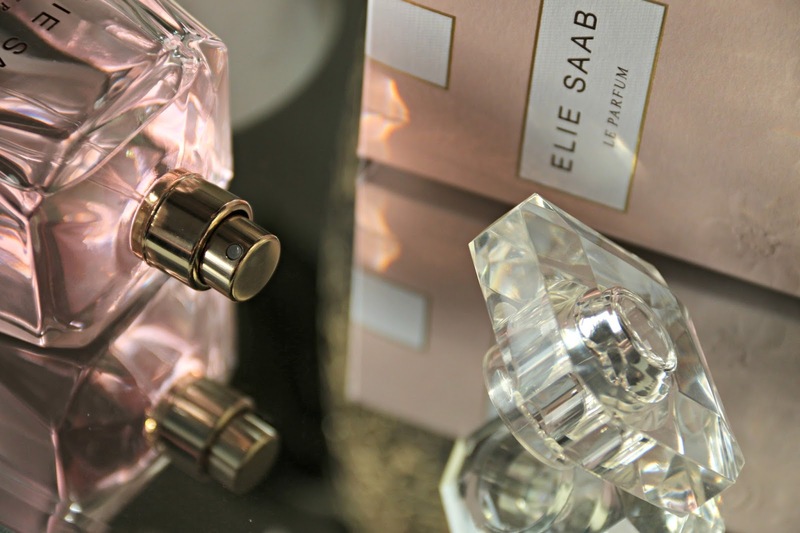 Have you smelt an Elie Saab fragrance before? Which was your favourite? Who do you think would love this perfume? Next Post Degustabox October Plus HUGE Discount code! The packaging is beautiful! Shame it doesn't last longer, but the scent itself sounds just lovely! I bet this smells amazing! Gorgeous packaging too! This sounds perfect for me as it contains all the notes that I usually go for. The bottle looks really pretty and I love that the perfume is pink. I think they are engraving these at House of Fraser a the moment. This sounds like an amazing fragrance. I'm a sucker for a pretty bottle too – this ones gorgeous! I'm like to have a heavier scent as well and only but eau de parfum because of that. It also tends to have a richer smell to it. Can you get a Parfum or is it only toilette? Elie Saab are some of my favourite fragrances, I really need to try the rose couture one, it sounds perfect for me. I completely love Orange Blossom scents but I do like a stronger scent so as you say, this might be better for daytime. Beautiful packaging though!